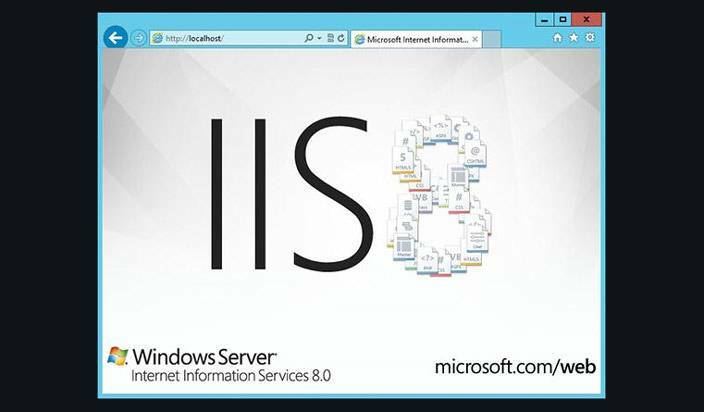 This guide will show you how to deploy your own IIS Web server, and enable it to run PHP on Windows 8 / Windows Server 2012. Thereafter this platform can help you run most of modern CMS, written in this popular (but not the best) web development language. 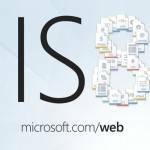 Windows 8 does not include IIS Web Server in default configuration. It is available as a separate function. 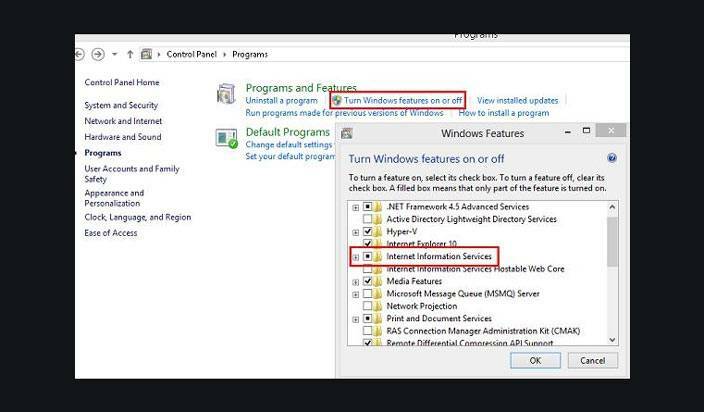 To install IIS on Windows 8, you should open Control Panel and go to Program and Features section (appwiz.cpl). After this click on the Turn Windows features on or off. In the opened window set checkbox in Internet Information Service and press OK. Note. By default, the minimal configuration of ISS is installed. After installation you should check if your Web server is running. To check this, run Internet Explorer (or any other browser) and type http://localhost (or http://127.0.0.1) in the address bar. 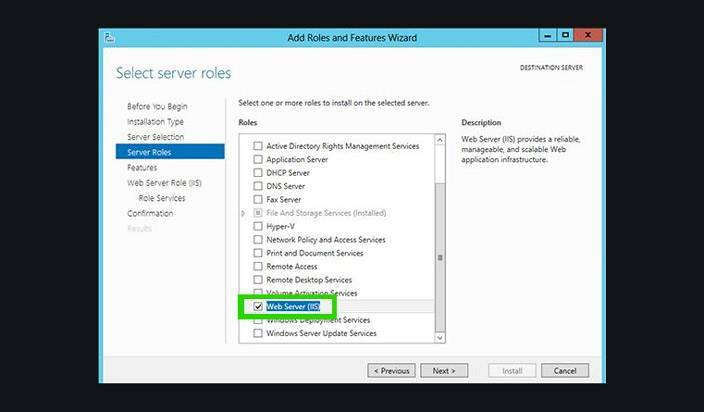 If you want to install Web Server on Windows Server 2012, you should do this through the Server Manager console. 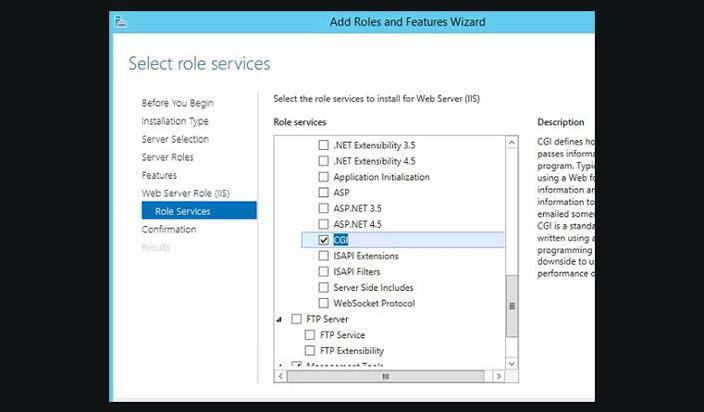 Choose the role Web Server (IIS) and then click Next. To support PHP applications on an IIS web server, you should install CGI module (located in Application Deployment section). Next, run the role installation. After this reboot the server. 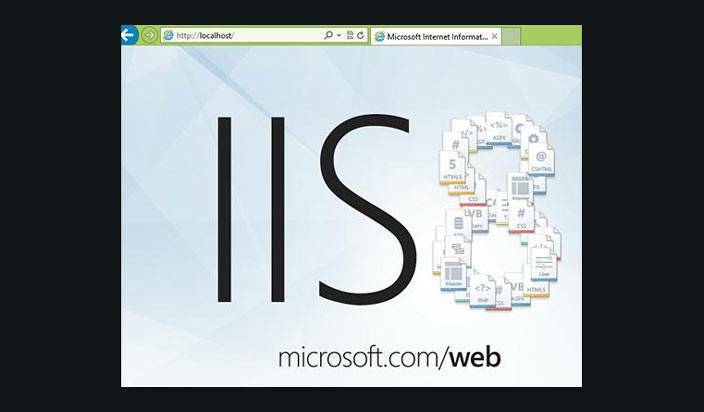 Make sure that IIS is working by opening http://localhost in your browser. 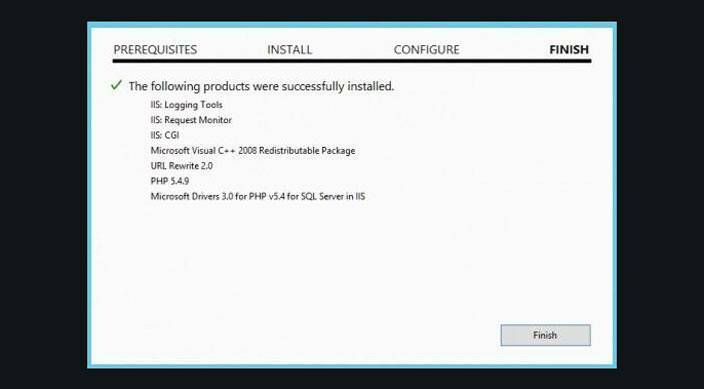 Run the downloaded file wpilauncher.exe and in the following Web Platform Installer window click Products. Browse the list until you find the PHP 5.5.1. Click Add and Install. Before the installation, WPI will check your system to meet all the prerequisites (if necessary, you will be asked to install the missing components). After accepting the installation will begin. Once PHP is installed, make sure that it works correctly. Navigate to your root folder (default folder is C:\inetpub\wwwroot) and Create a new text file with the PHP extenstion (eg, test.php). If everything works properly, you should see the PHP Info page. 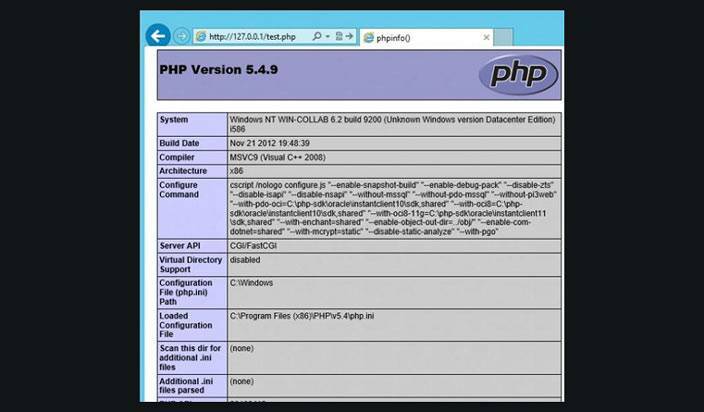 The page displays the PHP version and the basic configuration settings. Tip. PHP Configuration settings are stored in the php.ini file. That’s all! 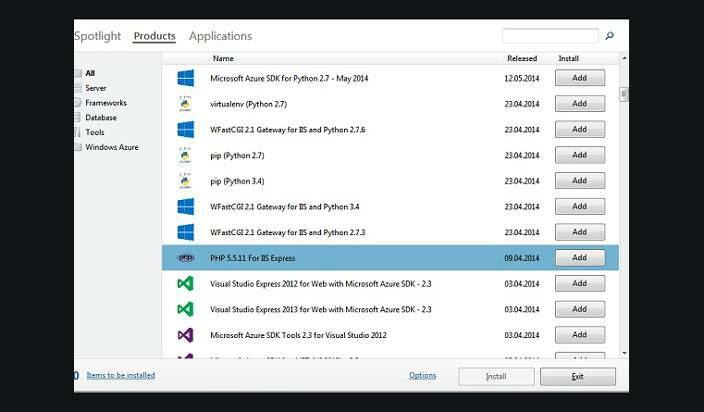 So, we have considered the easiest way to deploy the full IIS Web Server with PHP support on Windows 8/ Server 2012.